There has been a lot of rumor that Windows 8 might feature Xbox LIVE integration. Well, today the rumor has been confirmed as true. Larry Hryd, the Director of Programming for the Microsoft Xbox LIVE, has confirmed on his blog that Xbox LIVE is indeed coming to PCs in Windows 8. What this means is that Microsoft will be using its Xbox LIVE platform to deliver entertainment – games, movies, music, tv shows etc. – the potential millions of PC that will run Windows 8. We are confirming that we will be bringing Xbox LIVE to the PC with Xbox LIVE on Windows. We are very excited about Xbox LIVE coming to Windows 8. 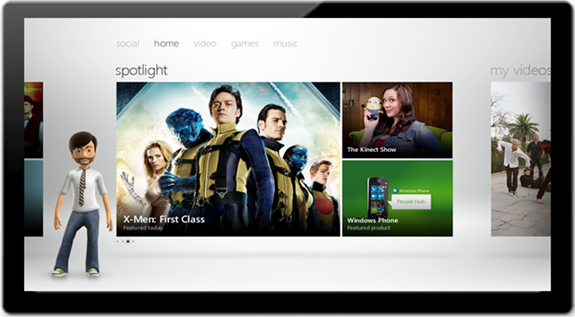 Xbox LIVE brings your games, music, movies, and TV shows to your favorite Microsoft and Windows devices. Bringing Xbox LIVE to Windows 8 is part of our vision to bring you all the entertainment you want, shared with the people you care about, made easy. The Xbox LIVE integration could be a game changing move from Microsoft. When Apple introduced iTunes, it helped them dominated the digital music download market. It has played a huge part in the success of its App Store for iOS as well. With Xbox LIVE, Microsoft already has a huge number of users with credit cards. Bringing the platform to Windows 8 could only mean good for Microsoft as it brings more people into the network. Microsoft is, however, not using Xbox LIVE to deliver apps for Windows 8. It is building a separate store for the apps.